Art lovers to stained glass enthusiasts and everyone in between can appreciate the extraordinary intricate designs shown throughout each individual stained glass piece. With 15 windows that each about 50 feet in height, these windows are composed of 1,113 individual stained glass windows that all showcase scenes and religious figures from the New and Old Testament. Amazing storytelling is conveyed throughout this incredible structure that makes you wonder how it’s survived this long considering how it seems like the church is made completely of stained glass. These incredible stained glass features reflect the famous Gothic style. The church itself houses some incredible historical relics that are significant to Christianity as well as the history of France. 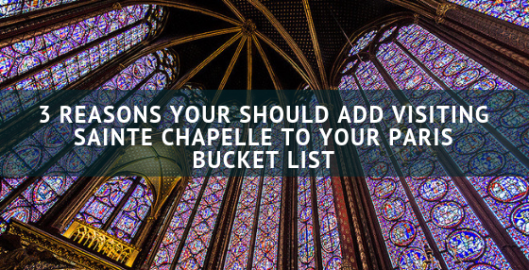 Sainte Chapelle is such a noteworthy, powerful masterpiece that sets the standard for religious storytelling. Finding inspiration for your custom stained glass for your Austin church, home, or business from Sainte Chapelle is always a wonderful idea. Custom stained glass gives anyone the opportunity to showcase important messages and symbolism. Great for your Austin church, inspire your congregation with individualized significant biblical values. For more information regarding our custom stained glass services for your Austin church, home, or business, please contact us!